Working with IPL devices means technicians also have to wear the appropriate protection against IPL and I.R. radiation. To avoid the eyes being affected by radiation, technicians must use protection gear. 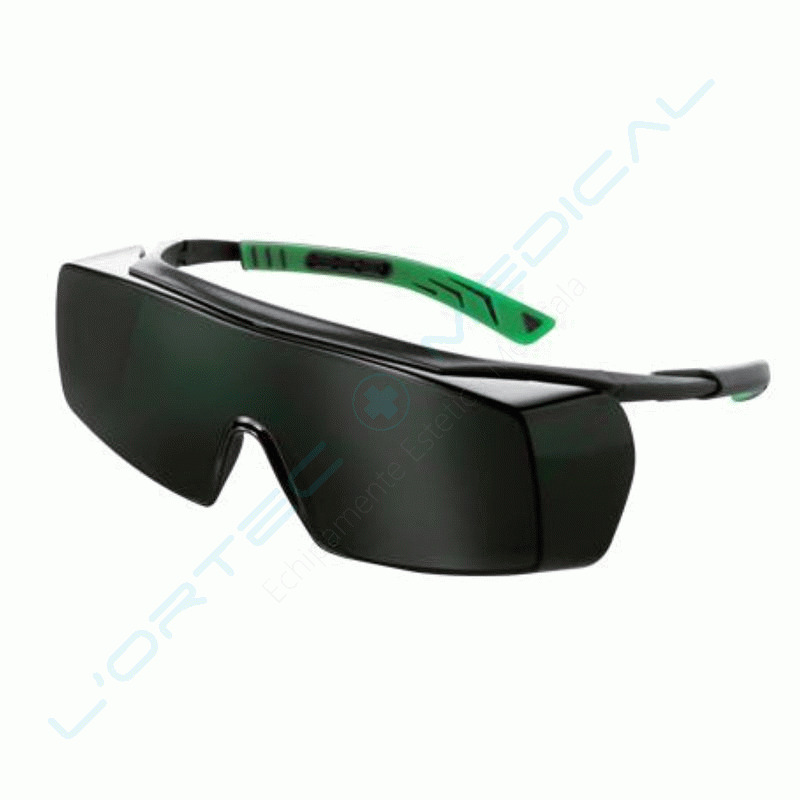 Now, L'Ortec Medical offers the necessary accessories for IPL equipment: IPL protection eyewear, which can be attached to regular glasses. Intense 500 SHR Mobile is part of the last generation of professional devices with SHR technology, assisted by SkinGlide technology. The device eliminates the intermediate cooling time between flashes, increasing efficiency and work speed. 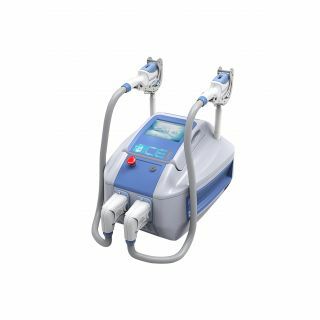 Reliable and easy to use, it is one of the most popular IPL-SHR equipments. Its easy to use interface, accessible through the generous 8.4 inch colour touchscreen, allows the set-up of the advanced software in just seconds. Intuitive, the software assists the operator at every step of the treatment. Mobile 500 SHR has three advanced cooling systems, specially designed for supporting SHR technology and allowing the device to be thoroughly used. Treatments can be easily adapted to each client, through the software, which gives the operator options for giving the best procedure, leading to a successful treatment. The operator just has to put in the skin type, hair melanin concentration and skin pigmentation. The software will automatically generate and suggest the best parameters for the treatment. 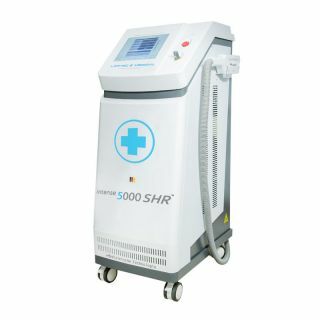 500 SHR Mobile has shown remarcable results in permanent hair removal, even when the skin was very dark. This is possible through the increased power of SHR technology. The device can be used with a series of 6 filters, which can treat acne, solar and age spots, rosacea and couperose, and it works extremely well in rejuvenation treatments. Powerful and mobile, safe and efficient, 500 SHR Mobile is the perfect option if you are a beginner and want to start offering IPL-SHR technology based treatments with a highly reasonable investment. 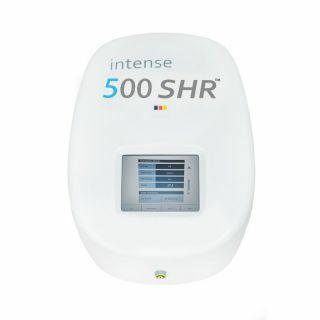 Intense 5000 SHRis one of the most powerful and advanced IPL permanent hair removal equipments with SHR technology. Easy to use, efficient and with a professional design, this device comes as an ideal instrument for medical offices or beauty salons. It is designed to function continuously at full capacity and it has SkinGlide technology, which allows the treatment head’s quick glide on the treated area. The device is equipped with an advanced software that allows each patient to be treated individually, according to their needs. You can choose manual mode, which gives the operator more freedom, or one of the many automated programs that assist the operator almost entirely. All you need to do in order to get perfect results is put in the skin type, pigmentation and hair thickness. The software will do everything else, giving you suggestions for appropriate treatment parameters. The device is designed for continuous, 24 hour non-stop functioning. It has three generous, efficient cooling systems and large ceramic capacitors. Intense 5000 SHR has a colour, 10.4 inch screen, and its intuitive menu makes it easy to use, establishing the correct parameters in just a few seconds. The operating system rules out the risk of procedures going wrong, offering clients safety and comfort. The device’s treatment head has a distinct design which made it possible for a large 50x15 mm saphire and a Xenon-Blitz lamp to be adapted to it, for increased fluency. The saphire gives it a speed boost when executing procedures, so that you save time and money. The treatment head is comfortable and easy to manoeuvre, giving the user superior precision. Energy is so efficiently delivered, that spectacular results can be seen from the first session. Intense 5000 SHR is one of the most powerful and advanced IPL permanent hair removal equipments with SHR technology. Easy to use, efficient and with a professional design, this device comes as an ideal instrument for medical offices or beauty salons. It is designed to function continuously at full capacity and it has SkinGlide technology, which allows the treatment head’s quick glide on the treated area. Intense 5000 SHR E-LIGHT has a colour, 10.4 inch screen, and its intuitive menu makes it easy to use, establishing the correct parameters in just a few seconds. The operating system rules out the risk of procedures going wrong, offering clients safety and comfort. ***This equipment is modular. You have the possibility of attaching a Radiofrequency module, within technical parameters of medical aesthetics. The ICE2 device L'Ortec Medical now gives to you combines SSR and SHR technology, to offer only the best results in permanent hair removal, skin rejuvenation, acne treatments, wrinkle removal, vascular therapy and facial lifting. Its Xenon lamp is stable and has a capacity of up to 10 flashes per second, ensuring efficiency and safety, while the handpieces' quick cooling system offers clients a successful, pain-free treatment. Its impressive power and small size make ICE2 an ideal device for beauty centers that don't have the benefit of space. ICE2's wavelengths act upon the skin differently, depending on the chosen handpiece, so that it can provide treatment to a series of affections, which make the ICE2 a versatile, efficient piece of equipment. The new Intense 3000 E-light harmoniously combines the advantages of IPL technology with the new SHR technology and with the results of Bipolar Radiofrequency (R.F.). Radiofrequency waves help by doing a great job regardless of hair or skin type. They go deep into the skin, generating a controlled temperature of up to 45 degrees Celsius, leading to fast and safe results. E-light technology is know for the results it has on dark, tan skin, and on red, blonde and white hairs, impossible to be permanently removed through traditional technologies. Intense 3000 E-light uses caloric optical energy with SHR technology, bringing an important heat flux. This works perfectly combined with the caloric energy emitted through radiofrequency, having visible, important results. E-light therapy uses several wavelenghts and radiofrequency to treat the targeted area. Tissues affected by rosacea, pigmentation, capillaries or wrinkles will absorb the energy needed to break the causes of affection. This will allow resuming the elastin and collagen production process shortly after. After only a few sessions, with proper treatment, your skin will be visibly improved. It will look rejuvenated and it will have a certain glow to it, a clear sign of success for your clients. The device can be successfully used in rejuvenation treatments for the neck, face, chest and arms, as it is safe and comfortable. Thanks to its solid design and high quality materials, it can be used non-stop, and its friendly interface and intelligent software, that can be accessed through the 8.4 inch colour touchscreen, offer the user precious support, for an almost complete assistance. 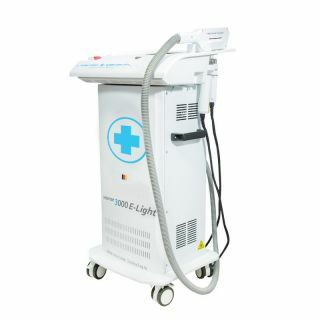 Small, mobile, silent and reliable, the Intense 3000 E-light device will perfectly adapt to your business needs and to your clients’ treatment requests.